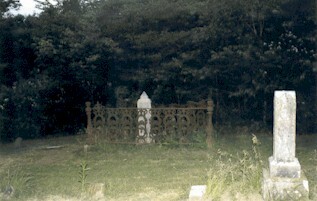 Old Union Cemetery is located in a remote section of Central Illinois. The graveyard saw its first burials in 1831 and it closed down less than 100 years later in 1931 after a fire destroyed the Union Christian Church that was located at the edge of the grounds. As time passed, the road past the cemetery, which had once been a busy stage line between Bloomington and Springfield, Illinois, was abandoned and the graveyard was largely forgotten. 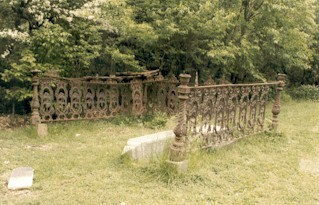 Although it is well kept by workers from the local township, the cemetery is no longer visible from any road. The forest now surrounds it, hiding it away from history. Old records say that over 500 of the early residents of this area were buried in the grounds but less than 100 of their grave markers remain. Old Union Cemetery first came to my attention thanks to reports from a sheriff's deputy and two independent witnesses who had worked for the local township. The police officer and the caretakers told stories of glowing balls of light that were often seen among the tombstones of the cemetery grounds. In addition, the caretakers also told me of one part of the cemetery that they avoided working in if possible. Both of them reported, without knowing that anyone else had mentioned it, that one particular section made them feel very strange and uncomfortable. They had no reason to explain what bothered them about it, it simply made their flesh crawl. This section of the cemetery was an area in the far corner of the grounds, almost touching the woods that loomed over the burial ground. The section was apparently some sort of private plot that contained a now unreadable tombstone and it was surrounded by an iron fence that was cast with the images of willow trees as a decorative motif. Each corner of the plot had a metal post to which the sides of the fence connected. The design of the posts was rather intricate as well, twisted and turned to stand about four feet tall. This fenced section is unlike anything else in the cemetery and seems to be the focal point of all of the activity that occurs, and that has been reported, here. My first visit to the cemetery revealed not only strong fluctuations in the electromagnetic field of the area in this section, but also sharp temperature drops of more than 40 degrees. Future investigations have continued to reveal similar events. We also took a number of photographs to document the area that day but nothing out of the ordinary turned up in them. However, this would not be the case as we continued our investigations at this location. 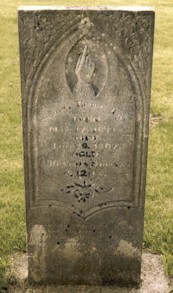 We returned to the cemetery a short time later for the first of several investigations. As with the first trip, all of the activity that we documented with our equipment centered around this same part of the cemetery. The fenced area also seemed to be the source for small, glowing balls of light that turned up in the developed photographs from the place. During what turned out to be our second investigation, which lasted about two hours, we managed to come back with 14 unusual photos, all of which were later sent to an independent lab for analysis. They had no explanation for the balls of lights and stated that they were not developing flaws or anything wrong with the film itself. The balls of light were seen hovering, or captured in motion, in several areas of the cemetery. Most were photographed near the fenced section. Other photos showed investigators pointing their infrared temperature scanners directly at the gold-colored globes. Strong temperature drops were being experienced by the equipment, although nothing was seen by the naked eye at the time. Once again though, this would change as well. I returned to the cemetery about three months later in the company of two other investigators. We arrived in the late afternoon to once again test the area where the fenced section is located for additional daytime activity. 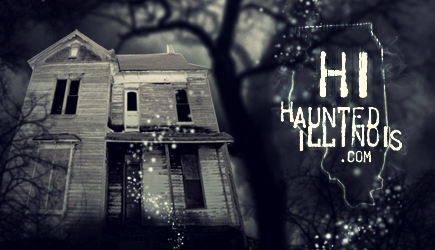 I have always maintained that if a location is really haunted, then it's going to be active both in the daylight and after dark. I think it's a common misconception that hauntings only take place at night - and I think Old Union Cemetery certainly dispels that myth! Shortly after we unpacked our equipment, one of the other investigators announced that he had seen movement around the center of the graveyard. Thinking that it might have been a bird or something, he asked us to keep watch with him for a few minutes. As we stood watching, I suddenly saw a yellowish-colored blur streak past us and vanish near the woods. The other two saw the image as well and this single light was followed by others. Amazingly, we were watching the cemetery's "spook lights" with not only our naked eyes - but in the daylight as well. Even when we had been in the cemetery at night, we had not seen the lights (which in the photos seemed to give off a glow) but we saw them in the daylight instead. What made this day different than the others when we had been present?